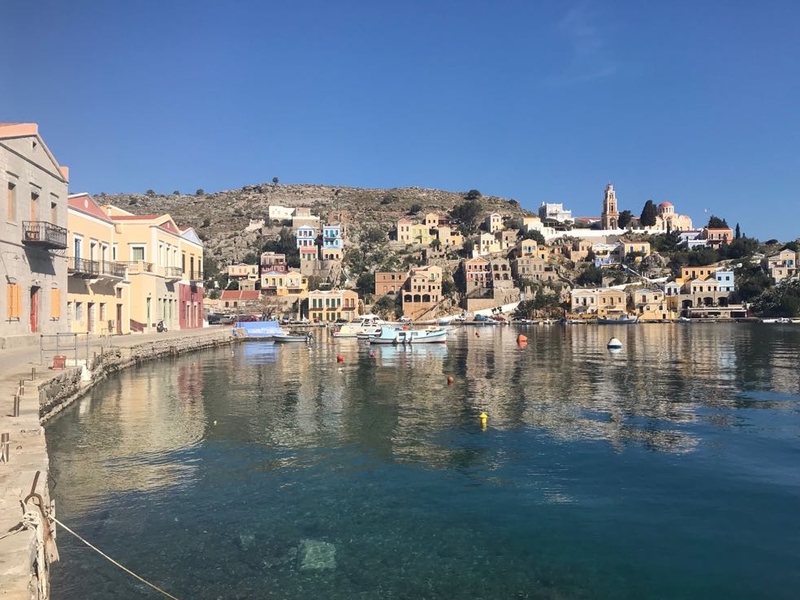 Jessica Carlisle is delighted to announce a new artist residency on the Greek Island of Symi. The Merchant House is a beautifully restored private home situated on the hillside above the main town. With its terraced garden and sea views over the rooftops, the Merchant House provides a peaceful retreat for visiting artists. Symi's past encompasses the Minoan, Classical, Roman and Crusader periods, as well as the era of Ottoman rule. It is notable for its striking architecture, including colourful neoclassical houses and Byzantine churches. The entire settlement is a designated listed monument. Places are by invitation but expressions of interest are welcome. The residency is made possible by the kind support of the houses's owners, Robert Dalziel and Louise Coubrough. The first residents are gallery artists Claudia Carr and Nadege Meriau.